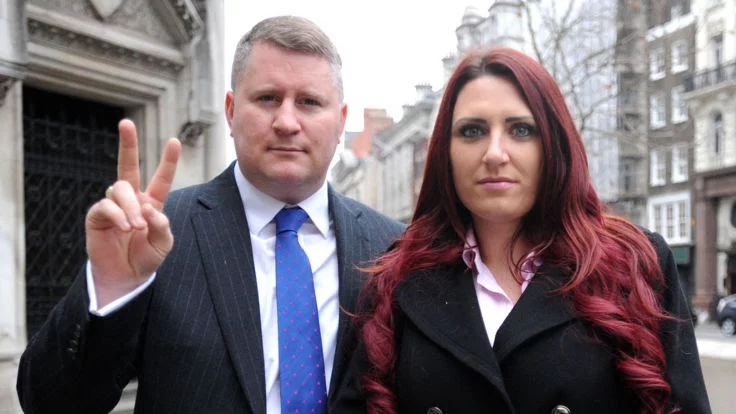 Paul Golding and Jayda Fransen have been charged by police in Belfast with hate crimes.The leader and deputy leader of far-right group Britain First have been charged with using threatening, abusive, insulting words or behaviour. The charges against the group’s leader, Paul Golding, relate to speeches made at a North of Ireland Against Terrorism rally on 6 August this year. The charges against the deputy leader, Jayda Fransen, relate to an incident at a peace wall in Belfast on 13 December. Ms Fransen, 31, is due to appear at Belfast Magistrates’ Court on Friday. Serving British soldiers charged with belonging to London National Action. 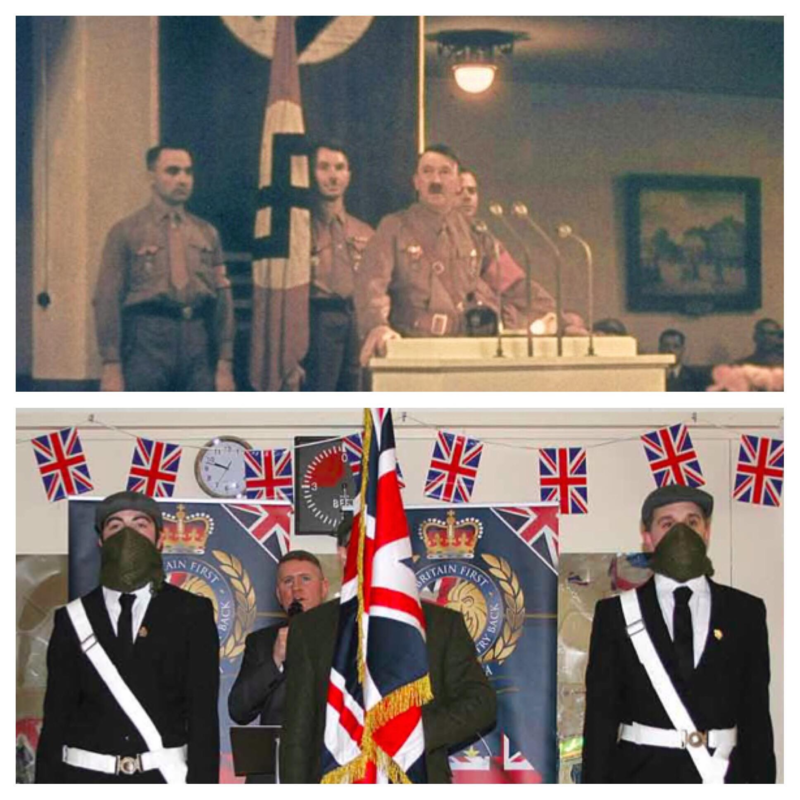 A British neo-Nazi group. 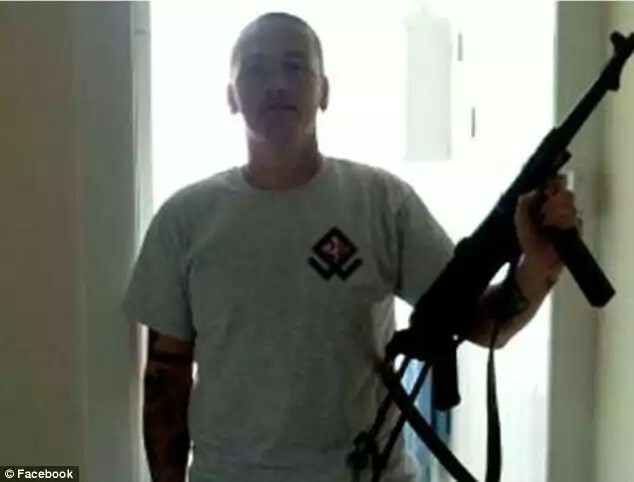 A man arrested as part of an investigation into the far-right group, National Action, has been charged with encouragement to commit murder. 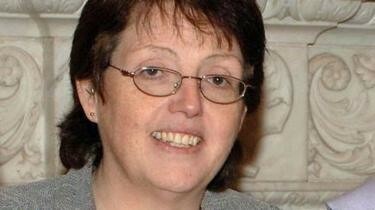 The BBC understands the charge against Christopher Lythgoe, 31, from Cheshire, relates to Labour MP Rosie Cooper. He is one of six men charged with being members of the banned group. A 22-year-old man, from Lancashire, who cannot be named, has also been charged with the intention of committing acts of terrorism and “threats to kill”. 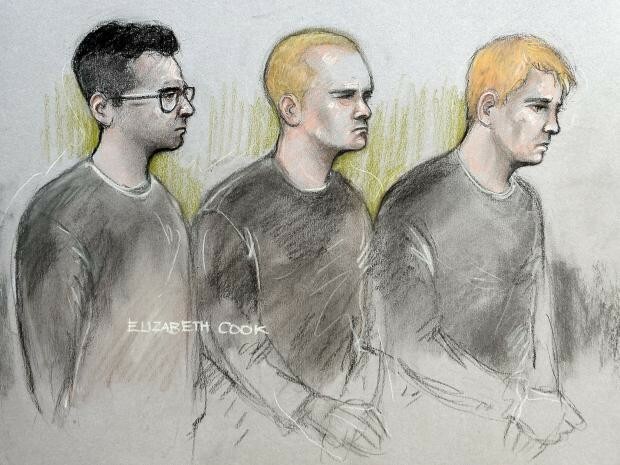 All six are to appear at Westminster Magistrates’ Court on Friday. 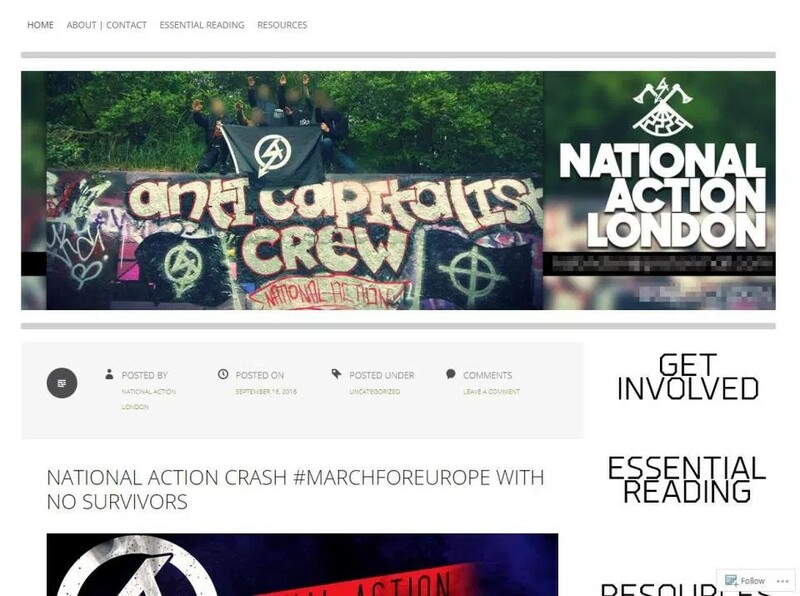 National Action became the first far-right organisation to be banned in the UK in December 2016. 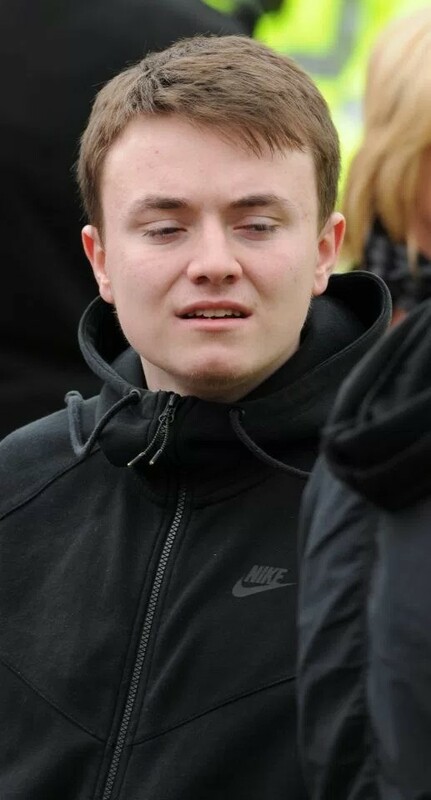 Jack Renshaw, a member of the British neo-Nazi group. It means that being a member of or inviting support for the organisation is a criminal offence carrying a sentence of up to 10 years’ imprisonment. Ms Cooper said: “I would like to thank everyone involved in this case, especially the counter-terrorism police, for keeping me, my staff and the public safe. 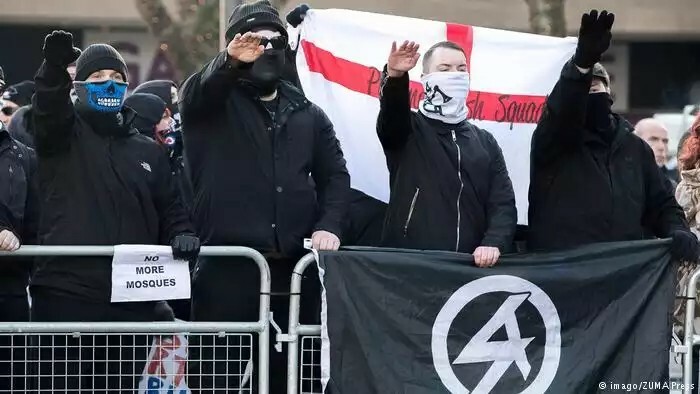 National Action became the first British neo-Nazi group to be banned last December after Home Secretary Amber Rudd said it was promoting violence and acts of terrorism. Members and supporters applauded the murder of Jo Cox MP by a white supremacist – and the group had carried out a series of small, but confrontational, demonstrations in towns and cities throughout England. One of its most notorious events saw masked members – many of them very young men – gathering outside York Minster to make Hitler salutes. 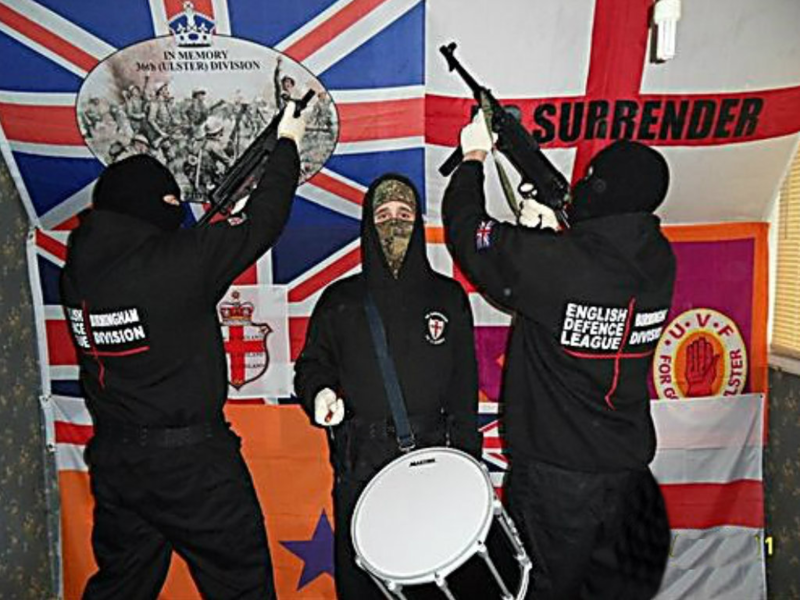 Since it was banned, detectives have been carrying out more and more investigations into the group which, to all intents and purposes, has organised itself in a similar way to the banned al Muhajiroun network – the extremist Islamist youth movement. Both have used social media to target young people, attracting them with a simplistic us-and-them message designed to make them angry. The charges follow a number of raids across England and Wales by counter-terrorism officers as part of a national investigation into the group. A spokeswoman for Greater Manchester Police said the men were charged following “co-ordinated activity” by police. With many thanks to: BBC Lancashire for the original story. 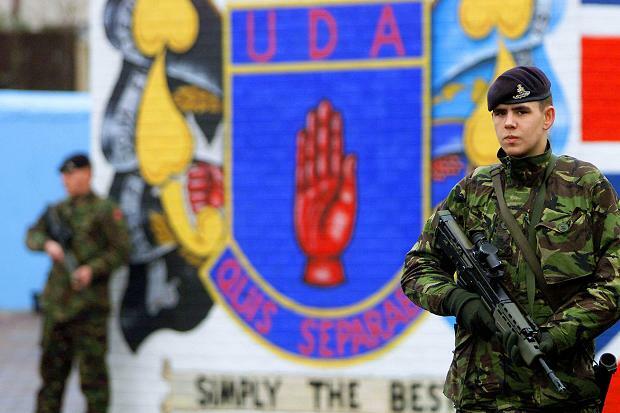 Latest news: In ongoing loyalist feud but the true question remains:”Why were they not charged with belonging to an illegal organistion”? 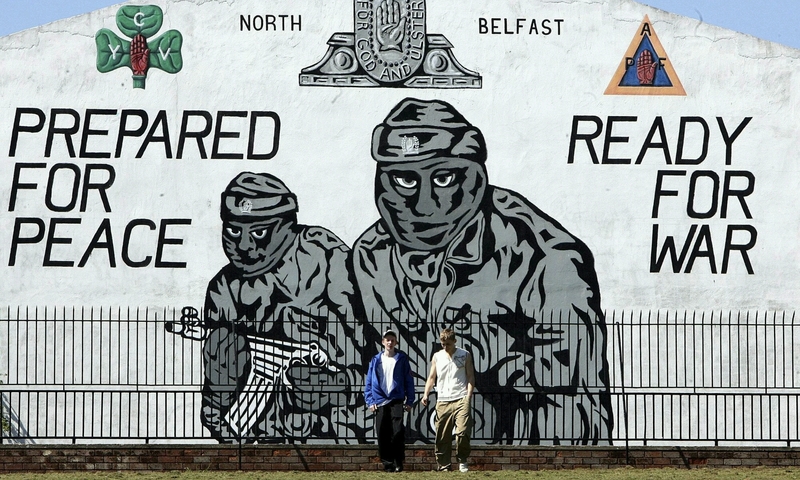 Two men have appeared in court charged with murdering high-profile loyalist George Gilmore. 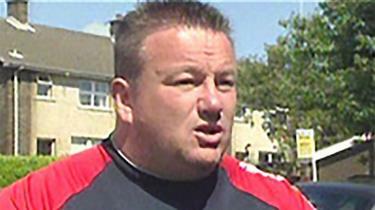 Mr Gilmore, who was 44, was shot in the neck while he was in his car in Carrickfergus on Monday afternoon. He died in hospital on Tuesday. George Gilmore was shot in a “ruthless attack in broad daylight” police said. Brian Roy McLean, 35, of The Birches Carrick and 28-year-old Samuel David McMaw of Starbog Road, Kilwaughter appeared at Laganside Court on Saturday. They were jointly charged with murdering Mr Gilmore on Monday, the attempted murders of two other people on the same day and possessing a firearm and ammunition with intent to endanger life. In court, both the accused spoke only to confirm their names and that they understood the charge. There was no application for bail and both were remanded in custody, to appear again by video-link next month. As they were taken from the dock, supporters who had packed into the court leapt to their feet, clapping and cheering. 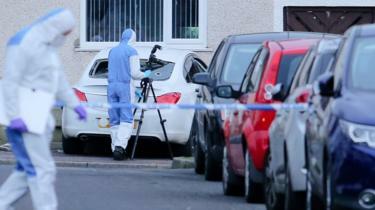 Two men have been charged with the murder of a high-profile loyalist after a gun attack in County Antrim. He died in hospital on Tuesday and police described his killing as a “ruthless attack in broad daylight”. 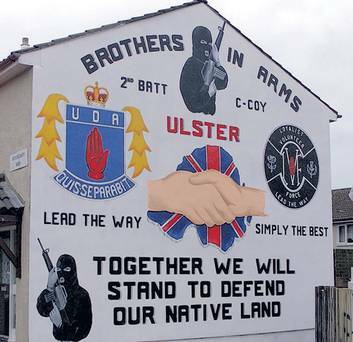 The two men, aged 28 and 35, will appear in court in Belfast on Saturday morning on several charges. As well as the murder charge they will each face, the men are also accused of two counts of attempted murder and possession of a firearm with intent to endanger life.